Gov. Abbott recognized the 2018 Hall of Fame honorees for their accomplishments. AUSTIN, Texas — Texas Governor Greg Abbott spoke Thursday at the Texas Women's Hall of Fame Luncheon, hosted by the Texas Governor's Commission for Women at the Governor's Mansion. Gov. 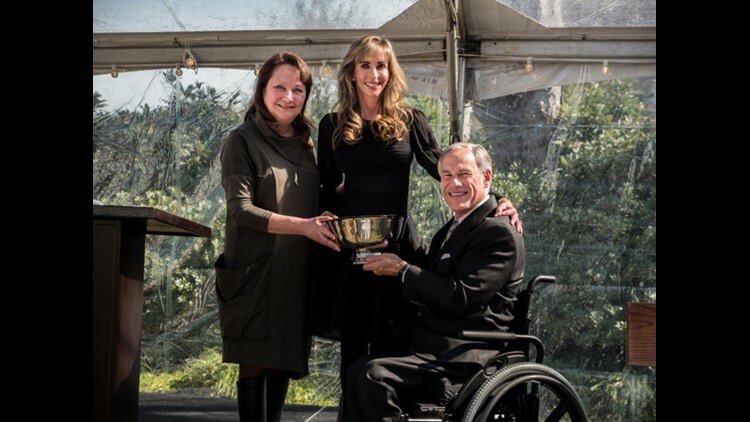 Abbott recognized the 2018 Hall of Fame honorees for their accomplishments, thanking them for their contributions to the state of Texas. "Today, we recognize seven extraordinary women whose strength, perseverance and passion truly embody what it means to be a Texan," Gov. Abbott said. "Each of these women have left their own unique mark on the Lone Star State, and as we gather today, Texas is better because of their contributions. On behalf of the state of Texas, Cecilia and I thank you for the profound impact you have had on our state and in the lives of so many." Gov. 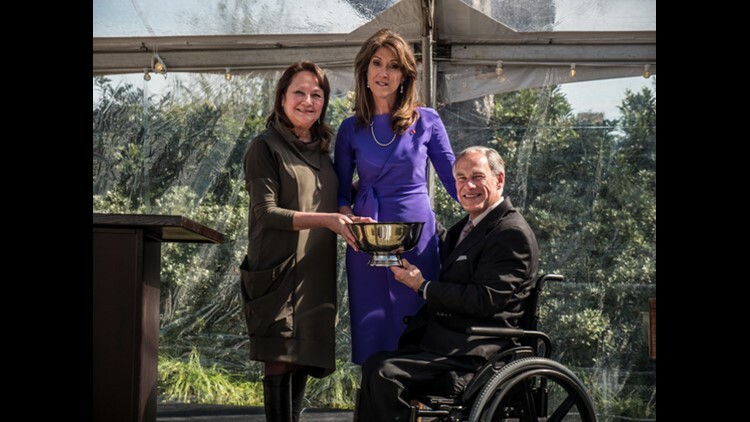 Abbott joined First Lady Cecilia Abbott to induct the 2018 honorees. "This award...is about being 'Texas strong,' and it belongs to all of us," Dell said. "I am so inspired about what it is to be a Texan." Bush and Biles were both unable to attend the ceremony.